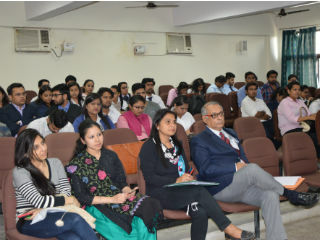 The talk show was a highly interactive and illuminating event where the judges, participants and both first and second year students participated actively and had exhaustive discussions as regards the perceptions and impression of the student groups concerning their respective franchisee brands. The wholehearted support and overwhelming response of the participants and the target audience made this workshop/ event a thundering success. 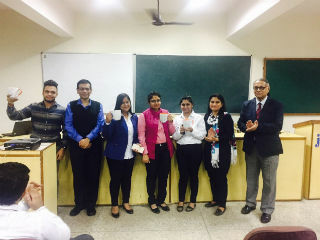 Prizes: The group which presented SUBWAY emerged as the winner comprise of Shruti, Harsh, Madhukar, Shristi & Niharika and awarded the first prize and attractive mementos were handed over to the Juhi Gupta as best female presenter and Aakash Moshal as best male presenter performers. Besides, this two consolation prizes were distributed to Abhishek Kansal, Avi Sharma who made remarkable contributions towards addressing specific issues. 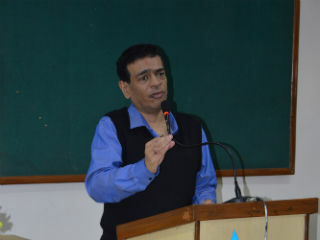 The event was masterminded by Prof Dr Ritu Bajaj - HOD, Retail Management and the judges nominated for this event were Prof Avijit Ganguli and Prof Soumitra Mookherjee.